A collaborative, pan-cultural, interactive installation which takes the form of an archetypal tea salon, this project draws upon the ritual of tea drinking as a metaphor for the dialogue between peoples, and their spiritual and aesthetic ideals. Tea served in the afternoons. A catalogue was published by Presentation House Gallery in conjunction with the installation, including texts by Jennifer Fisher, Steven Holtzman, Keith Snyder and Vincent Sze. 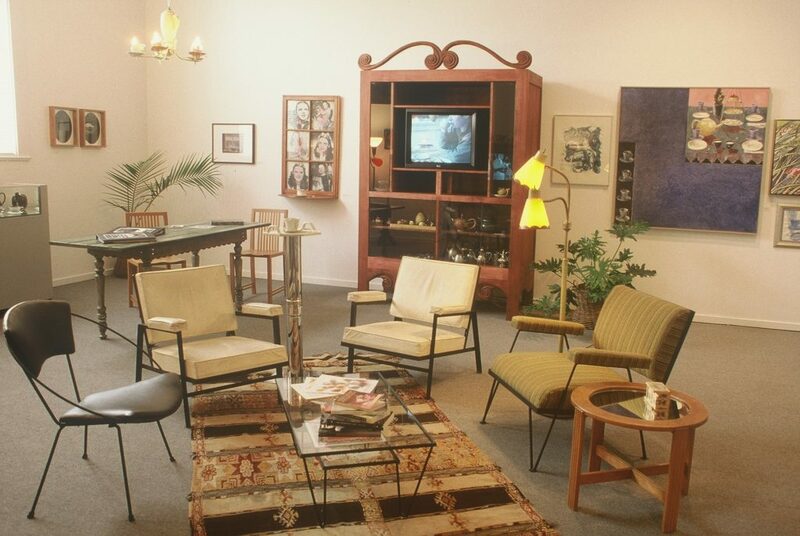 Installation objects and art work courtesy of many regional museums and archives, individual collectors, and dozens of contemporary artists from across Canada and beyond. Tea plant installation by Vancouver artist Mike MacDonald on the Presentation House grounds. Supported by the Canada Council, the Banff Centre for the Arts, le Conseil des arts et des lettres du Quebec, the Hong Kong Bank of Canada, the Tea Council of Canada, the Hamber Foundation, the North Shore Credit Union, Murchie's Tea & Coffee Ltd., Metropolitan Home, Uno Langmann Ltd., ArtsFACT - a cultural initiative of QM/FM, T Oasis in Nobo, Tom Lee Music, KM Keyboard Moving Ltd. and the Western Front. Tea generously supplied by Murchie's Tea & Coffee, T Oasis in Nobo, National Importers (Twinings Tea) and Overwaitea Food Group. World Tea Party is endorsed by the Canadian Committee for the 50th Anniversary of the United Nations and is dedicated to the UNESCO World Decade for Cultural Development. by Vincent C. Y. Sze. Part of the Mid Autumn Moon Festival at the Dr. Sun Yat-Sen Classical Chinese Garden. 578 Carrall Street, Vancouver, Sept.8-10. Entertainments included the inauguration of the Dr. Brutea Service; WTP awards for the finest tea hats and tea room apparel, and appearances by AWOL Love Vibe, The Fool's Society and Mr. Peanut. Hosted by Dolly Watts from Liliget Feast House and Catering (formerly Just Like Grandma's Bannock Ltd.) featuring wild herbal teas of the Pacific Northwest. Special tea savories, Grandma's Wedding Cake, bannock and molasses, fish row, clam fritters and many local indigenous specialties presented along with story-telling, tea legends and special guests discussing the traditions of tea amongst the native peoples of the coast. By artists Daniel Dion and Bryan Mulvihill. Two of the four collaborating artists on World Tea Party talked about the project's ideas, the artists's process of creative collaboration, and plans for future World Tea Parties in other parts of the world. Tea was served. An afternoon of Sufi poetry, music, stories and tea in the Middle Eastern tradition. Sufi is a mystic tradition of Islam that has given rise to a rich outpouring of poetry, music, art and spiritual enrichment. The Sufi Tea Circle was organized by Mohammed Ahmed, and included himself as well as Baba Farid, Gogpoh Seng, David Campbell and Ali Koushkani. A special evening of entertainment and awards to launch the Fund for the Arts on the North Shore. The FANS award in celebration of significant achievement by a professional North Shore artist was announced, selected from the three finalists: Robert Clothier, Judith Marcuse and Robert Studer. (Clouthier won the award). The evening began in the Theatre at 7:30 pm, and continued with a reception in the Gallery in the World Tea Party Salon at 9:15 pm. Tickets: $20; Organized by the North Shore Arts Commission in association with Presentation House. By Gwen Murchie of Murchie's Tea & Coffee Ltd. A thirty-year veteran in the tea industry, Gwen Murchie spoke about the history of the tea trade and the Murchie family's important contribution to this history. Anecdotes and Murchie's tea. 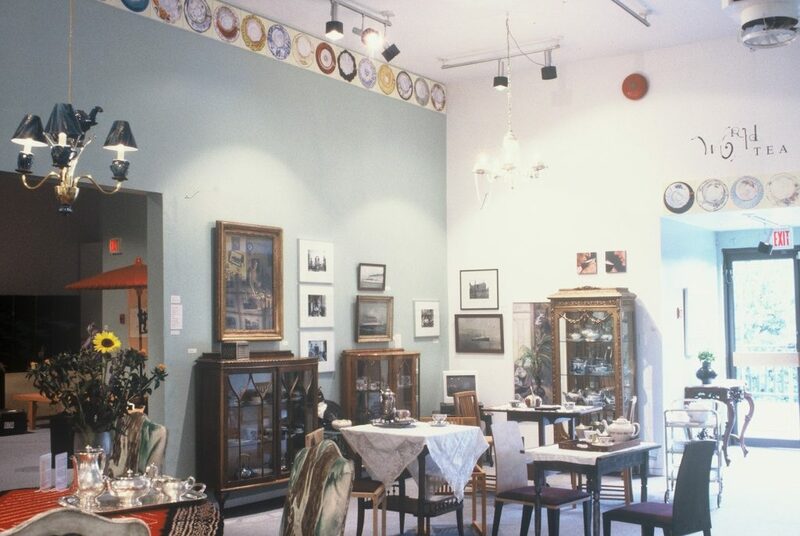 A chance to savour the world of herbal, tisane and flavoured Ceylon tea tasting and chat hosted by T Oasis in nobo (north of Broadway on Heather Street in Vancouver). By Ray Fuse, whose ritual dance movements are produced while in the Zen consciousness, reflecting symbolically the Full Moon and the Tea Ceremony, through movement, brushwork, sound and tea on silk. The performance was accompanied by a Shakahachi bamboo flute player. Featuring poet Phinder Dulai reading from Ragas from the Periphery. This event celebrated the recent publication of Dulai's new volume of poetry. His readings from this new book was accompanied by other entertainments - musical and otherwise - presented by community colleagues. Sunday, October 15, 1 pm. A short video on the traditions of the Japanese 'tea ceremony' was screened in a large tea room setting specially created for this occasion. Tea was formally presented by the Urasenke Foundation of Vancouver to all guests, followed by discussions on Japanese tea rituals with Vancouver Urasenke tea instructor Keith Snyder. Closing presentation was a performance of Japanese songs by The Sakura Singers. A chance to savour the world of green and black estate teas, with tea tasting and chat hosted by T Oasis in Nobo. Each Thursday afternoon traditional Japanese teas were served by members of the Urasenke Foundation of Vancouver. Thursdays 1 to 3 pm. Three hands-on workshops by Bryan Mulvihill for highschool students, re: cultural ritual. 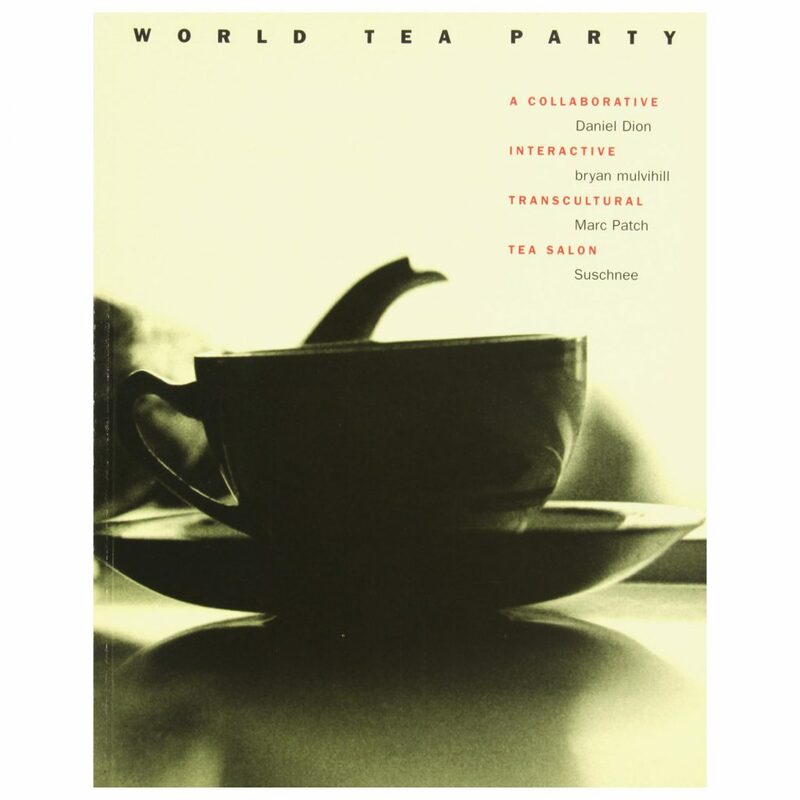 The award-winning catalogue is a compilation of installation views, historical photographs and texts about our 1995 World Tea Party exhibition. 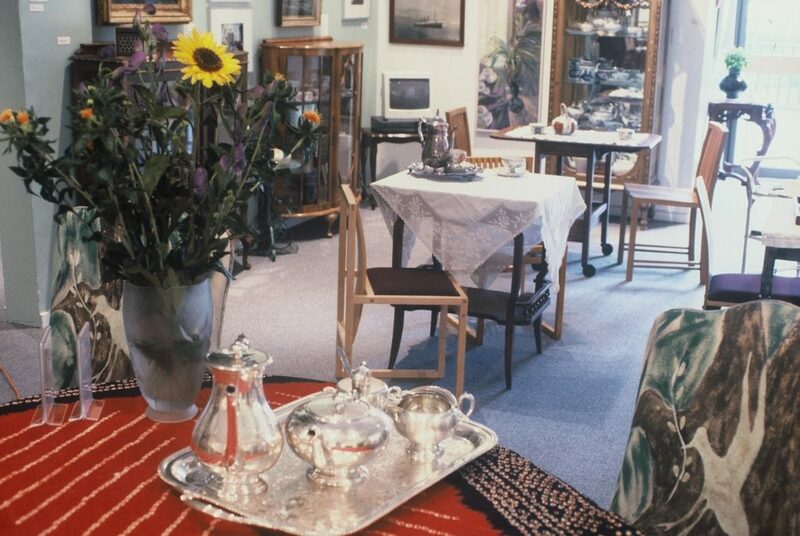 The exhibition was a pan-cultural, interactive installation which took the form of an archetypal tea salon. The project drew upon the ritual of tea drinking as a metaphor for the dialogue between peoples, and their spiritual and aesthetic ideals. Curated by Daniel Dion, Bryan Mulvihill, Marc Patch, and Suschnee. Essays by Jennifer Fisher, Steven Holtzman, Keith Snyder and Vincent Sze, with an introduction by the artists. 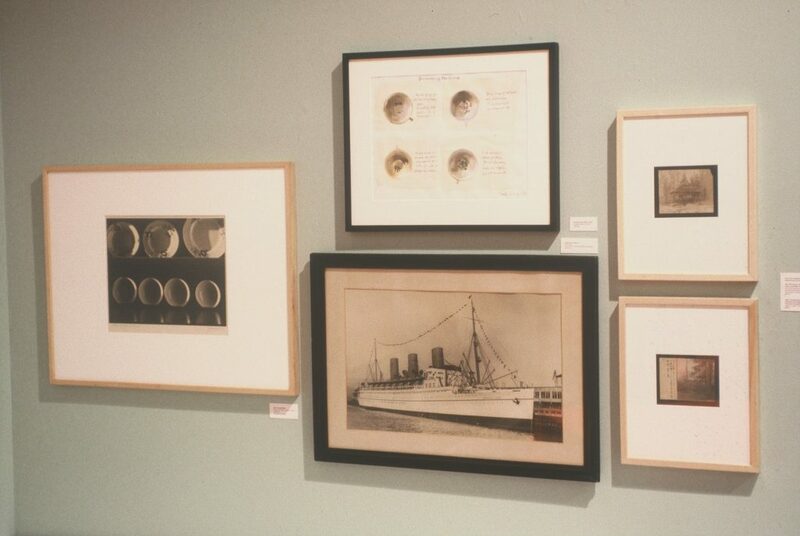 The exhibition was supported by many organizations with major sponsorship from the Canada Council. World Tea Party is endorsed by the Canadian Committee for the 50th Anniversary of the United Nations and is dedicated to the UNESCO World Decade for Cultural Development. Designed by Alex Hass, Radish Design and printed by Hemlock Printers.